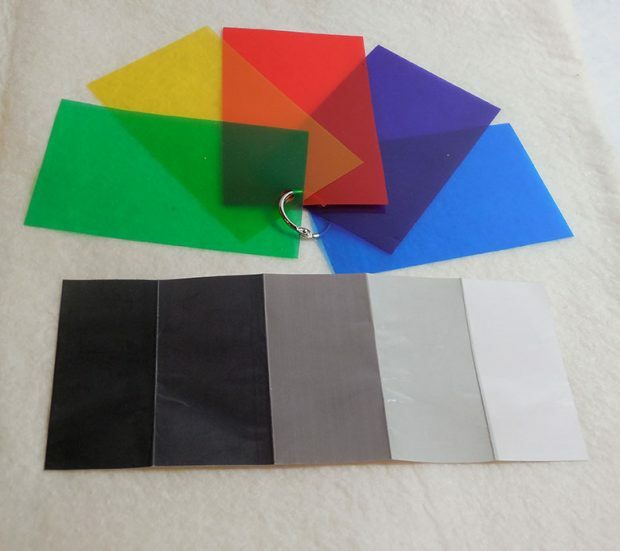 Kit includes a set of 5 color filters and a laminated 5-value gray scale. Use these simple tools to select fabrics and threads for your pictorial quilt compositions with confidence. Visit my Videos page (insert link) to see lessons on how to use these tools. 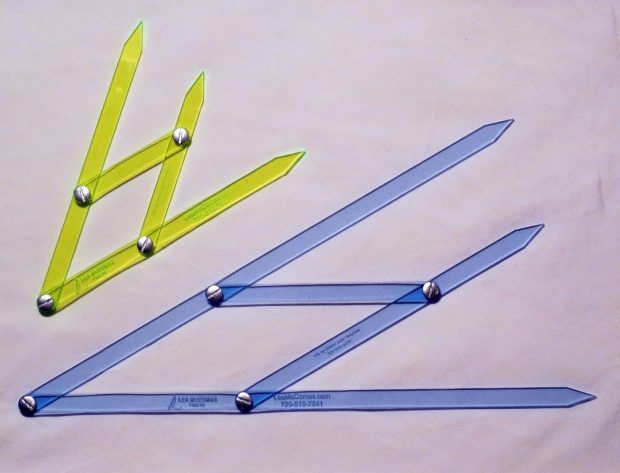 Golden Mean Calipers have multiple uses in your traditional, art, and portrait quilting, including selecting border widths, establishing dimensions, placing key elements, and so much more. Visit my Videos page (insert link) to see lessons on how to use this tool. Small calipers expand to 16”. Large calipers expand to 30”. 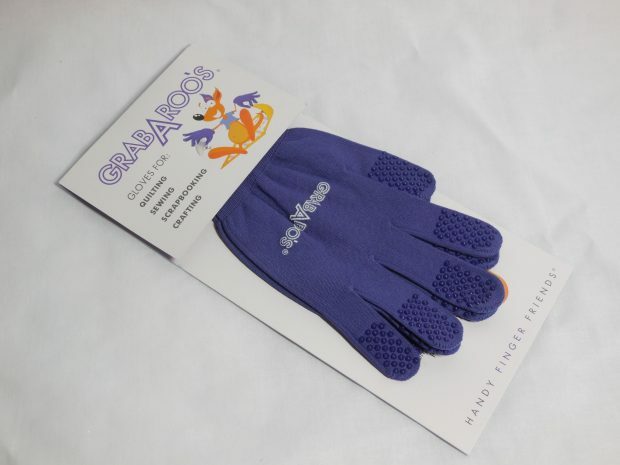 GrabARoo’s form fitting gloves, made of 95% nylon & 5% spandex with grips on every finger are comfortable to wear and give you extra gripping power for free-motion quilting. Also provide protection from blisters and cuts. They come in four sizes: S, M, L, XL. Designate size in the memo box at PayPal when ordering. 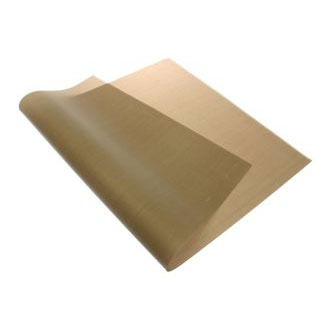 Teflon Pressing Mat will protect your ironing board surface and iron from coming in contact with fusible products. Sandwich your applique project inside this sheet when pressing. Heat easily penetrates without damaging the Teflon mat and it can be cleaned easily with a used dryer sheet. Mat is 18 x 24 inches. 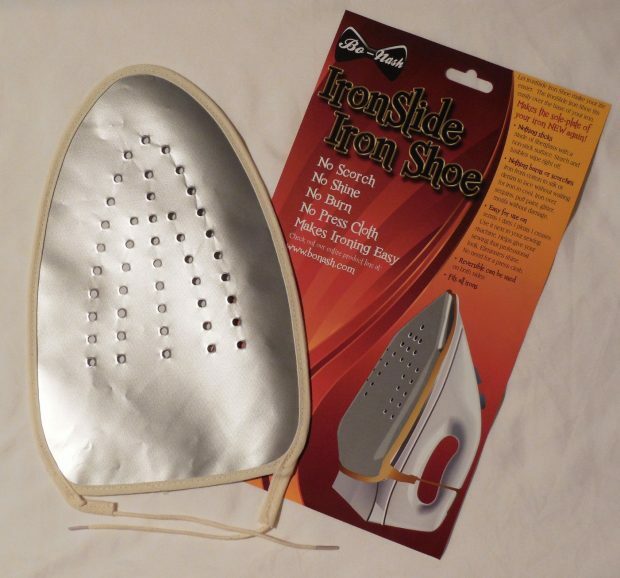 Use this Teflon Iron Shoe to protect your iron from fusible products. If you hate cleaning the soleplate of your iron, then this is the product for you. When the iron cools, just wipe the iron shoe clean with a used dryer sheet. 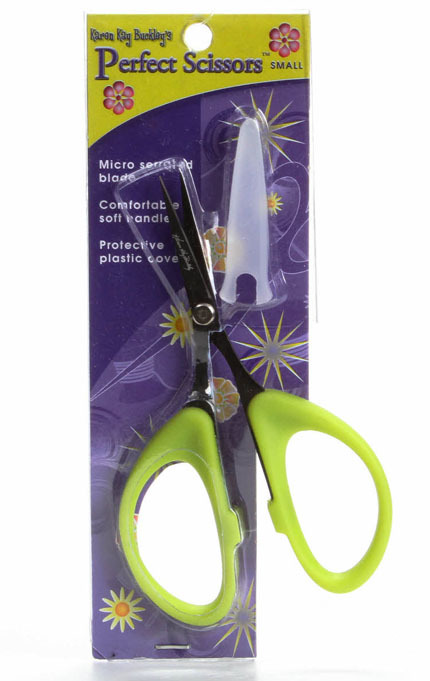 These Karen Kay Buckley Perfect Scissors have comfortable soft green handles and 4 inch micro-serrated blades. They are “perfect” for cutting tight turns and small pieces for your applique portrait quilts. The serrated blades also help reduce fraying of cut fabrics. 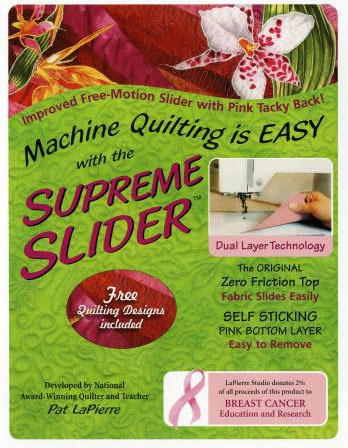 The free motion Supreme Slider is an amazing product that reduces drag when stitching you quilt. The dual layer technology is slick on top and sticky on the back. Your quilt sandwich will slide quickly and easily while the slider stays firmly in place. This reusable Teflon sheet can be easily removed and leaves no residue. When needed, just run the slider under running water to clean and rejuvenate the tacky back. The small version (11-1/2″ x 17″) can be trimmed to fit any sewing machine. The large version (11 1/2″ x 8″) is the perfect size for the Bernina 8 series and Janome 6600, and smaller home machines that are set into a table. Sewer’s Aid, a clear, non-staining lubricant. will help reduce skipped stitching and friction heat of needle while sewing through heavy material and sheer fabric. 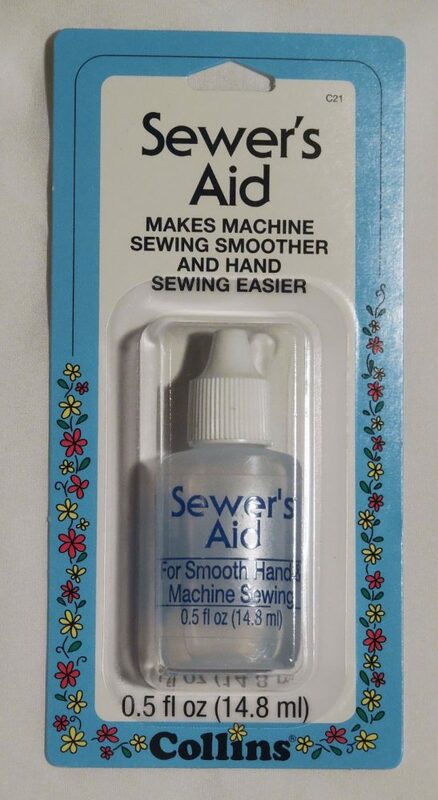 Apply sparingly to spool and bobbin thread and your sewing tools to make machine sewing smoother and hand sewing easier.